Traffic JAMS on Monday brings you, get up and move music is what you need on a Monday. The Monday Traffic Jam delivers with your host Bobbie Dusenberry. It is an eclectic mix of Roots Americana with some Indie Rock, Blues, Folk, and New Grass thrown into the mix. 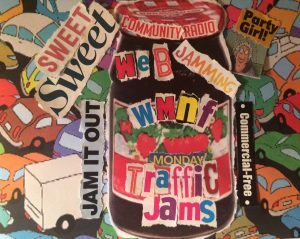 Keep WMNF non-commercial and on the edge by donating anytime to the Monday Traffic Jam TIP JAR. Your support means that you love my programming as much as I love programming for YOU! THANK YOU FOR TUNING IN! Oh….and please LIKE the “Traffic Jam” <— Facebook page! Bobbie is from Northwest New Jersey, but has claimed Florida her home since 1979 while attending Florida Southern College. Her passions besides music is in plants, wine, eating healthy, and working out. She is a volunteer at the Sertoma Youth Ranch and Safety Harbor Arts and Music Center, both non-profits, and works full time as an accountant. In 2008, Bobbie pledged her support to be a guest DJ on the Morning Show. For the next 3 years during each membership drive, she pledged to be a guest DJ on various shows hitting all genres. Her first official show as a substitute DJ was August 2011. 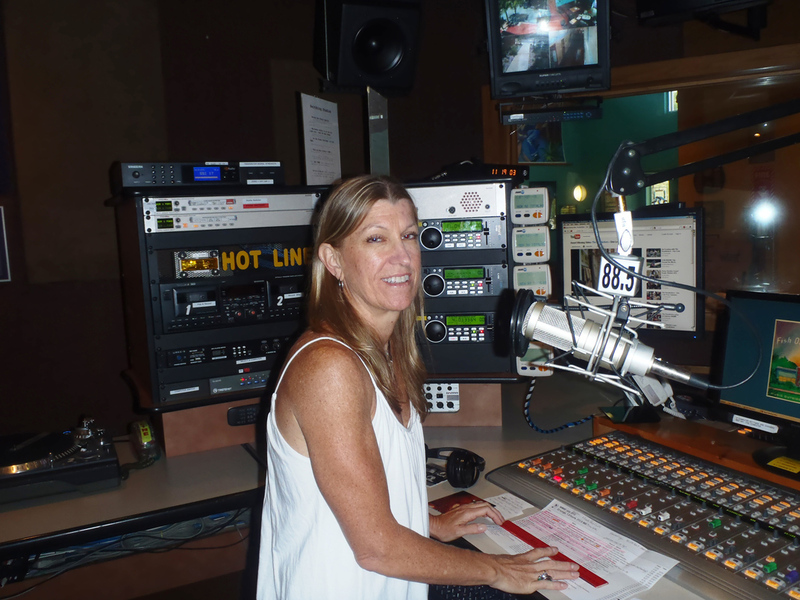 On December 29th, 2014, Bobbie officially became the new WMNF Monday Traffic Jam DJ. "I am so excited beyond what words can express. Thank you for all your calls and emails that gave me my confidence". Whether you are in your car driving, at work, or resting from your day, the Traffic Jam hosted by Bobbie will help you get through it all. Her get up and go energy will be reflected in her selection of music. "You'll hear what's new in Roots-Americana, some Indie Rock for good measure, some Blues, and songs that stand the test of time".